Farnham Green Primary School will use their grant to make ‘get well soon’ packs to help patients in King George’s Hospital in Redbridge. On 8 December 2016, eleven schools came to City Hall to showcase their local social action projects to a panel of judges including staff from Unilever and Matthew Ryder, Deputy Mayor for Social Integration, Social Mobility and Community Engagement. The young volunteers, all part of Team London Young Ambassadors, were pitching to win a grant of up to £1,000 to fund projects which benefit their school or community. 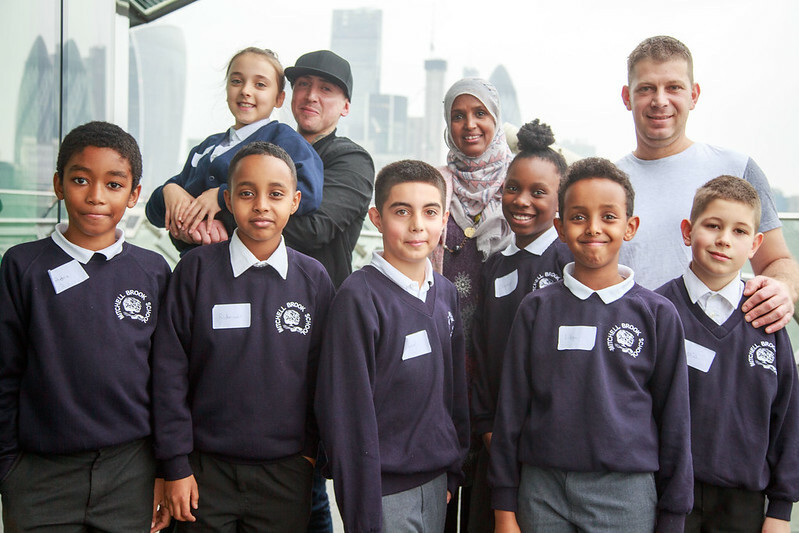 Since 2015, Unilever has offered brightFuture Grants of up to £1,000 to Team London Young Ambassadors schools. These grants help the young people to do something bigger and brighter for their local community. Schools also receive support from Unilever staff volunteers who help them prepare for their pitches and turn their projects into a reality. The young volunteers had five minutes to pitch their project idea and then ten minutes of questions from the judges. Questions included how they prepared for the pitch and specific areas such as budgeting, marketing and project management. The judges were so impressed by the quality of the pitches that all eleven schools were successful in winning a grant. Some of the ideas pitched on the day include creating welcome packs for refugees, a news website for school children and a breakfast club for students. Keep visiting City Hall Blogs for more news on the projects once they have started. Team London Young Ambassadors is the Mayor’s volunteering scheme which helps primary and secondary pupils to start their own volunteering projects. Tens of thousands of young people have improved their school and communities by setting up projects on issues they care about such as food poverty, homelessness, bullying, connecting generations and the environment.